South Yorkshire has joined forces with BT in a multi-million pound deal to extend the availability of high-speed, fibre broadband to around 981 per cent of homes and businesses in the city region. The Superfast South Yorkshire project will make South Yorkshire an even more attractive place to live and do business, bringing new investment to the region and generating an economic return of more than £270 million 2. Cllr Sir Stephen Houghton CBE, Leader of Barnsley Council, has worked with other city region leaders on this joint project with private sector investment. Cllr Houghton said: “We’ll increase fibre broadband coverage across South Yorkshire, taking it from the current 80% to around 98% by the end of 2017. Private sector investment from BT is helping us to make this £22 million project happen. This is a major achievement for the city region, and a huge step forwards for South Yorkshire. 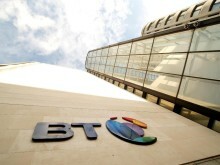 The project will cost £22 million, to be funded jointly by BT, Broadband Delivery UK (BDUK) and South Yorkshire partners. South Yorkshire partners are the four local authorities of Sheffield, Rotherham, Barnsley and Doncaster3. A significant measure of the programme’s success will be driving awareness of the benefits offered by fibre broadband and adoption of this high-speed broadband technology. The project will build upon BT’s commercial roll-out which is already making fibre broadband available more than 242,500 homes and businesses across South Yorkshire, as part of its plan to reach around two-thirds of UK premises. The roll-out plans will be announced in the coming months, following a period of surveying and planning. The first communities across South Yorkshire can look forward to improved access to online services and better connectivity for businesses from summer 2015 onwards. The majority of South Yorkshire premises will be getting access to some of the best broadband speeds boosting the competitiveness of local firms and offering new ways of flexible working, entertainment and learning opportunities for local residents. Bill Murphy, Managing Director at BT Group, said: “Superfast broadband is a key part of the present and future success of the whole of South Yorkshire. The technology is vital to modern life whether you are a high-tech start-up or an established family firm in a traditional industry such as manufacturing. It will become even more essential in the increasingly ‘connected world’ of the future. James Newman, Chairman of the Sheffield City Region Local Enterprise Partnership (LEP) added: “I am delighted that the four South Yorkshire authorities have taken this important step towards reinforcing the Sheffield City Region’s reputation as one of the best places in the country to live, work and invest. “We have heard time and again from businesses that superfast broadband is no longer a ‘nice to have’, but essential to their competitiveness and long term sustainability. The project is part of Broadband Delivery UK’s Superfast Extension Programme, previously known as the Rural Programme, which aims to increase superfast broadband access in rural areas. 1. The project will achieve 97.9% broadband coverage across South Yorkshire by the end of 2017. 2. The estimated GVA return on the project is £271.83 million. 3. The four South Yorkshire authorities will underwrite the required local funding contribution, with a view to achieving Sheffield City Region Investment Fund (SCRIF) funding.